There’s no shortage of things to do on New Year’s Eve in Chicago. You don’t have to be in New York, Hong Kong or Sydney to see amazing fireworks. And none of those cities have the awesome parties that the Windy City’s got. Do you love concerts? Chicago has tons of them, all taking place on December 31st. And if you’d prefer to celebrate the incoming year with a low-key dinner, there are plenty of places to eat in the city. With so much to do, here is how you DON’T want to spend your NYE in Chicago. Have you heard about the four course meal being offered at 312 Chicago? Chef Luca Corazzina will be making such dishes as fresh taglioni with white truffles and vanilla bean creme brulee. And at Boka, there’s a six course tasting menu, featuring bay scallops, lobster and dry-aged beef. You’re not going to be eating any of that if you expect to waltz in on December 31st to find an empty table. It doesn’t matter whether it’s a five star or no star joint, you must have a reservation for New Year’s Eve. And you should make it far in advance to ensure you get a spot at the restaurant you want. If you’re a beer lover, you’ll want to go to Brew Year’s Eve, taking place at the Salvage One Building in Chicago as well as at The Haight Building in Elgin. Twelve Chicagoland breweries will serve over 30 different craft beers. Or, maybe you prefer tiki drinks and a live surf band. If that’s the case, you should go to The Whistler‘s New Year’s Eve Beach Party, which brings fun in the sun inside during the frigid Chicago winter. Again, you won’t be able to get into either of these parties (or any of the other fabulous soirees across the city) if you don’t get tickets well in advance. It’s a good bet these and other parties will be sold out if you don’t book them now. …As long as you get tickets. Are you sensing a theme here? Your New Year’s Eve is going to be boring and unenjoyable unless you make plans. And, once more, advanced planning comes in handy. If you want to see Deadmau5, Skrillex or any other musical act on December 31st, order your tickets as soon as possible. When you’ve got kids, spontaneity becomes a thing of the past. If you want to go out for the evening, you’ve got to either find a babysitter or find an event that’s perfect for adults and kids alike. If you want to celebrate as a family, there are a variety of events taking place in Chicago and its suburbs. Want some adult time? Start looking for a reliable babysitter now. As with the concerts, parties and restaurants, childcare books up quickly for December 31st. For many people, this piece of advice sounds like a no-brainer. Sadly, the number of fatalities caused by drunk driving means that too many people haven’t gotten the message. Law enforcement officials are aware of people’s tendency to have too many drinks and then get behind the wheel. That’s why they set up checkpoints and randomly pull over drivers to check that they’re sober. Want to be able to drink more without worrying about driving? Book a limo. Let’s say you’ve got your entire NYE planned out. You’ve gotten tickets to the party or concert of your choice or you’ve made a reservation to the best restaurant in Chicago. Here’s a question for you: how are you going to get from Point A to Point B? Don’t forget that on December 31st, traffic is going to be heavier with people going to parties, restaurants or concerts. Public transportation won’t be running normally. Taxis are going to be harder to find than normal. Do you want to be stuck outside in the wind (and more than likely, snow) trying to get a ride? Book a limo now, and you won’t have to worry about a thing. 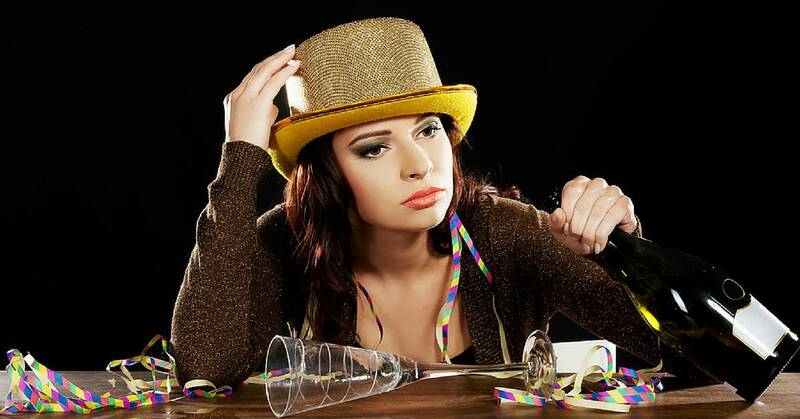 Do you want to make sure you have a memorable and safe NYE? Contact Echo Limousine at 877-807-2383. We provide service across Chicago, including into the suburbs. Live in Indiana or Wisconsin? No problem – we’ve got you covered. Call 877-807-2383 to learn more.